This classic Blueberry Pie recipe can be made with a lattice, a double crust, or a crumble topping. 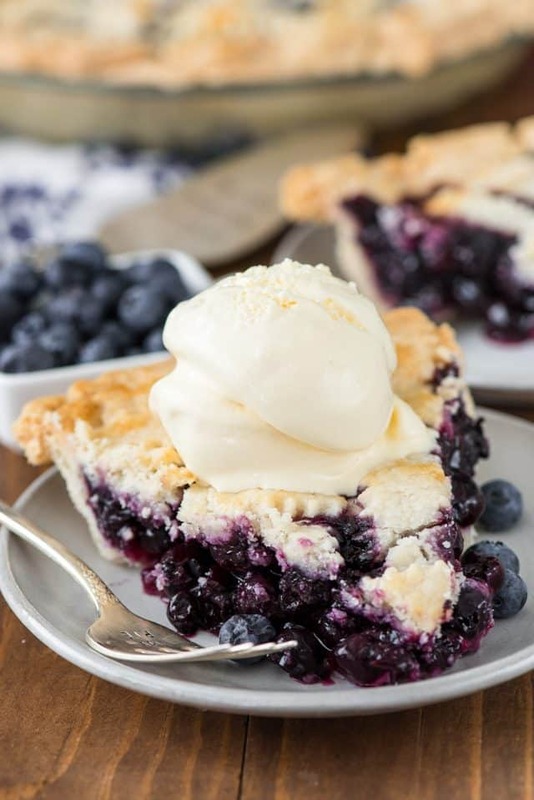 Use fresh or frozen blueberries to have this easy classic pie recipe all year long. 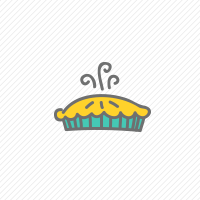 I may not be a huge blueberry fan, but I do love blueberry pie. This classic pie recipe is perfect all year long: serve it in summer after blueberry picking or use frozen berries to serve it for Thanksgiving dessert. A classic fruit pie recipe is something everyone needs in their recipe box, and this one is a keeper. I’ve made lots of berry pies over the years (blackberry and berry crumble, and even a crumble blueberry) and I’ve finally come up with the BEST fruit pie filling recipe. This filling recipe is easy, just has a few ingredients, and can be used for any fruit or berry pie. It produces the perfect texture and won’t be too runny! 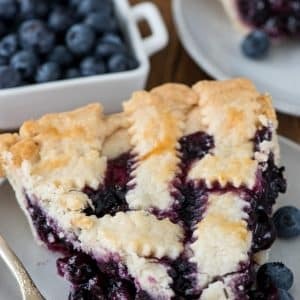 Blueberry Pie is such a classic recipe and this method will net the perfect pie every time, no matter what you top it with! Make a lattice top crust, as shown. Make a double batch of my all butter pie crust and bake it as a double crust. Use my crumble topping recipe to make a blueberry crumble pie! No matter how you top this pie, using my fruit filling recipe will produce a perfect pie. You can make this pie filling with fresh blueberries or frozen blueberries, or even canned. No matter what time of year you’re making blueberry pie, you have options. Use fresh berries: just wash and make sure to pick out any stems. Use frozen berries: thaw and drain really well. You don’t want any extra liquid in your pie filling. Use canned berries: in a pinch, buy a few cans of berries (not pie filling). Drain them well before using. What’s my secret to the best blueberry pie? I have found that cornstarch makes the best fruit pie filling. I’ve tried flour but I find it never solidifies enough, leaving a very wet pie and raw crust. Besides cornstarch, I use granulated sugar (be sure not to use too much of it – extra sugar produces more liquid in the pie) and add some lemon juice for brightness. Plus, lemon and blueberry go really well together. That’s it: only 4 ingredients to make an easy blueberry pie filling! 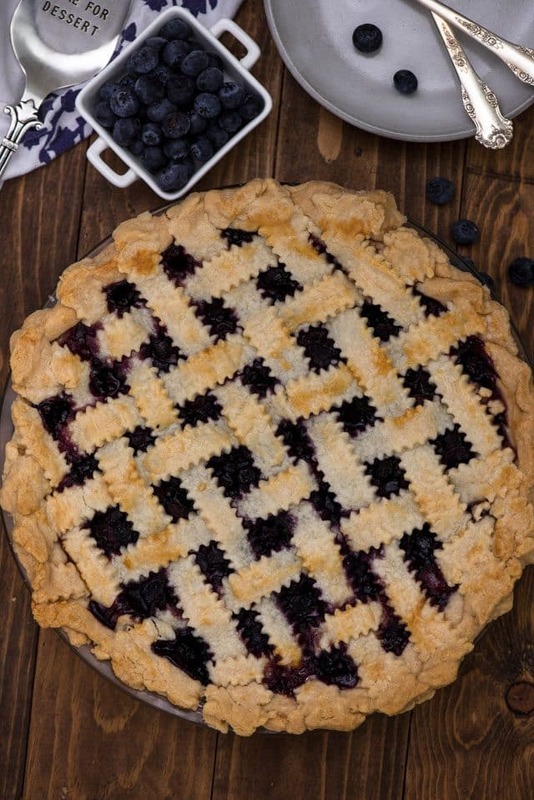 Once you have your filling, just decide on how to top your pie: lattice, double crust, or streusel. How will you top your blueberry pie? Place one pie crust in the bottom of a 9-inch pie plate and crimp as desired. Carefully stir together blueberries, sugar, lemon juice, and cornstarch. Pour into prepared pie plate. Top the pie by making a lattice (see note) or a double crust pie. If using a double crust pie, be sure to cut holes in the top to vent during baking. Top the pie with a crumble topping. Place a pie shield around the edge of the pie and place the pie on a cookie sheet. Bake for 10 minutes at 425° then lower the temperature to 350°F and bake for about 30-40 minutes, or until crust is baked through and golden. You can use any topping for this pie: make a lattice pie crust, a crumble topping, or make a double crust pie. If using frozen berries, make sure they are thawed and drained well. 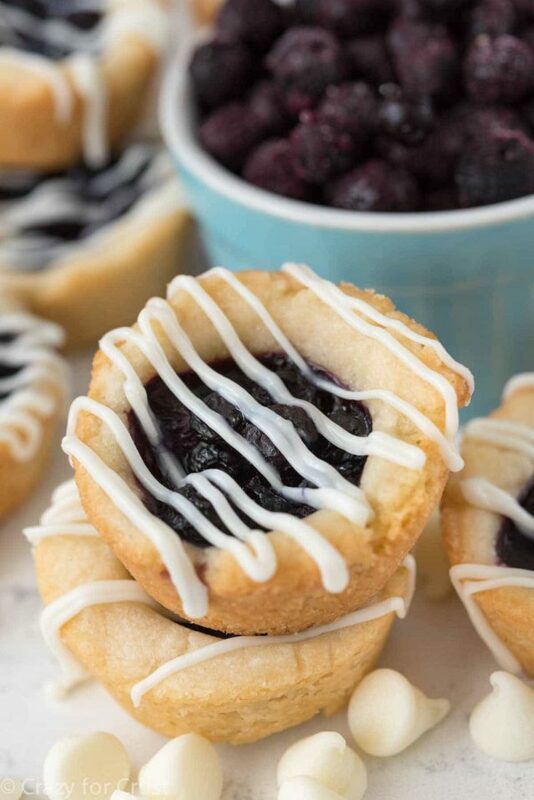 Blueberry Pie Cookies are another fun blueberry pie twist. 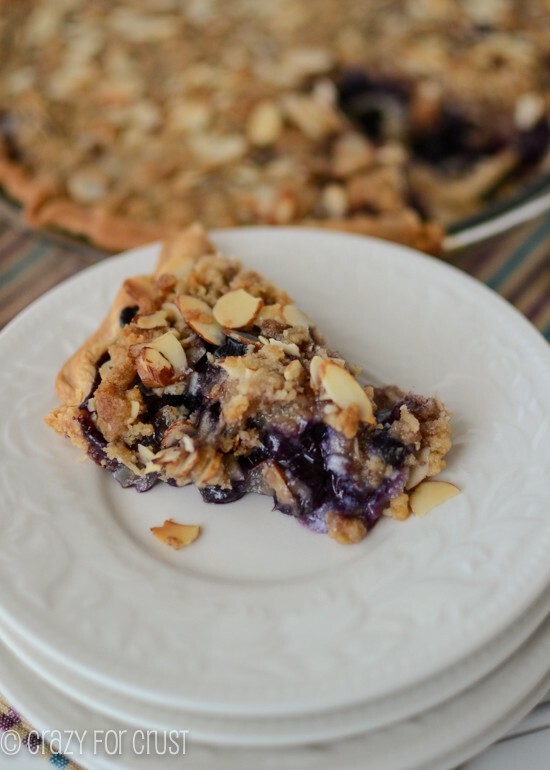 This blueberry crumble pie has almonds on top! 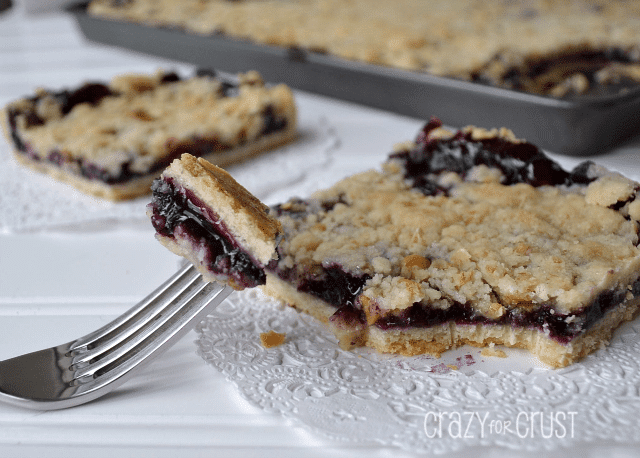 Have you ever tried a blueberry SLAB pie?